Leaders in the 21st Century face a complexity of issues greater than ever before. With ever increasing globalization and change, leaders must navigate the complexity of todays' issues and have the ability to strategically provide purpose and direction for the future. As organizations struggle to meet these challenges in the future, they must have processes in place that develop the leaders needed for their organization. This chapter will look at leader development as a lifelong learning process using the United States Army as the organization model. 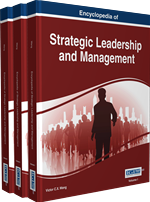 The objective of this chapter is to provide an overview of the leader development process used by the U. S. Army, how they raise strategic leaders, and relate those practices to organizations external to a military organization. It is a call to action for organizations to look inward to ‘build their bench strength', and begin the process of leader development by creating a leader development strategy, understanding leader requirements specific for their organization and developing a leader development program that will prepare leaders for the challenges of the future. The CSA foresaw the changing pace of operations for the Army. He understood that leaders in the 21st Century would face a complexity of issues greater than ever before. The issues are dynamic and constantly changing. “Globalization is how many describe the period in which we live” (McCausland, 2012, p.1). For organizations to be successful in the future, their leaders have to be able to navigate the complexity of todays’ issues and have the ability to strategically provide purpose and direction for the future. Stagnant leaders, those that do not change and grow, those that do not view leadership as a lifelong process of learning will doom their organization to failure. Leaders outside the military, those in business and industry, have begun to understand the impact of globalization on their organization. “Clearly, leaders have a major role in how their organizations and teams deal with both the challenges and opportunities of globalization” (McCausland, 2012, p.1). To meet future challenges and opportunities, organizations have looked at development plans for their workforce. The concepts, processes and practices come from any number of Executive Coaching programs available, or Leader Development Programs (LDP) set up from an internal team in the organization, or with outside help. As Guido M. J. de Koenig, a former consultant for Gallup, stated in an article on how the best organizations select and develop tomorrow’s leaders, “all companies need to find and develop the next generation of leaders if they want to survive, let alone thrive” (de Koenig, 2005, p. 1). They need to build their bench, and the key is leader development for the future. CSA (Chief of Staff of the Army): The top official and leader for the U.S. Army. Leader Requirements: A set of traits, skills and behaviors identified as essential for leaders within an organization. Leadership: A relationship of influence between a leader and follower. Leader Development: A process of educating, training and mentoring individuals to become a leader. USAWC (U.S. Army War College): An institution that educates and develops leaders for service at the strategic level while advancing knowledge in the global application of Landpower. ADRP (Army Doctrine Reference Publication): An official written document that further elaborates on the direction and procedures of ADP. ALDS (Army Leader Development Strategy): The U.S. Army’s deliberate plan for developing leaders. ADP (Army Doctrine Publication): An official written document that provides established principles in the U.S. Army that support national objectives. Strategy: A deliberate approach and plan taken to bring about change toward a desired goal.